Many social media sites let you categorize your posts by using hashtags. Hashtags consist of a pound sign (#) followed by a key word(s). These subject tags can be searched on sites such as Twitter, Facebook, Google+, Instagram, YouTube, Pinterest, Flickr, and Tumblr to find information about a given topic. For example, #LDS and #LatterDaySaints are common hashtags that people add to posts about the Church and #GeneralConference is a common hashtag for general conference. Below is a list of popular hashtags used to connect and share gospel-related content. You can include more than one hashtag in a post, but don’t get carried away. 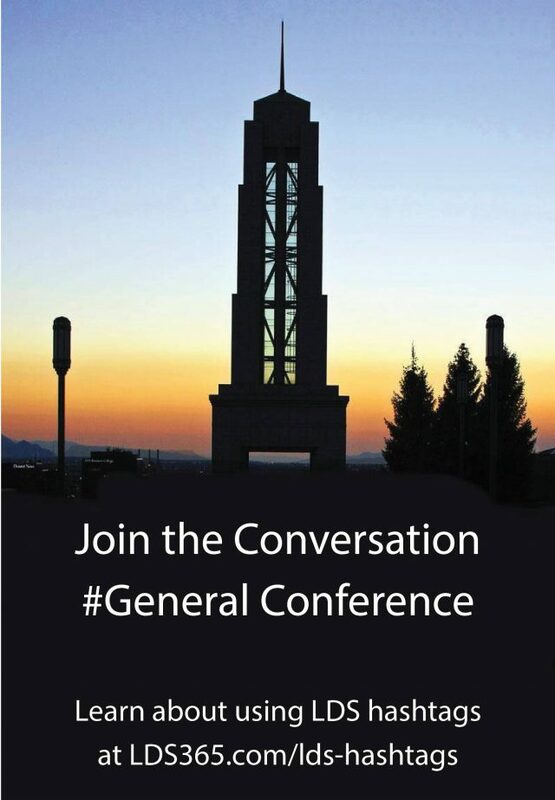 For example, including both #GeneralConference and #Christian would be appropriate when tweeting a quote from conference that referred to Jesus Christ. Using the hashtag #Christian may help it be seen by more than just the Latter-day Saint community. Learn more about using hashtags on Twitter and Facebook. See the hashtag recommendations on the Church’s Newsroom. Feel free to download the image below and share it with your friends on social media.